A perfect photo opp in Ruidoso. Ruidoso is a small town and resort community in southeastern New Mexico, set in the Sierra Blanca mountain range. The village gets its name from the stream that runs through it, the Rio Ruidoso, Spanish for Noisy River. 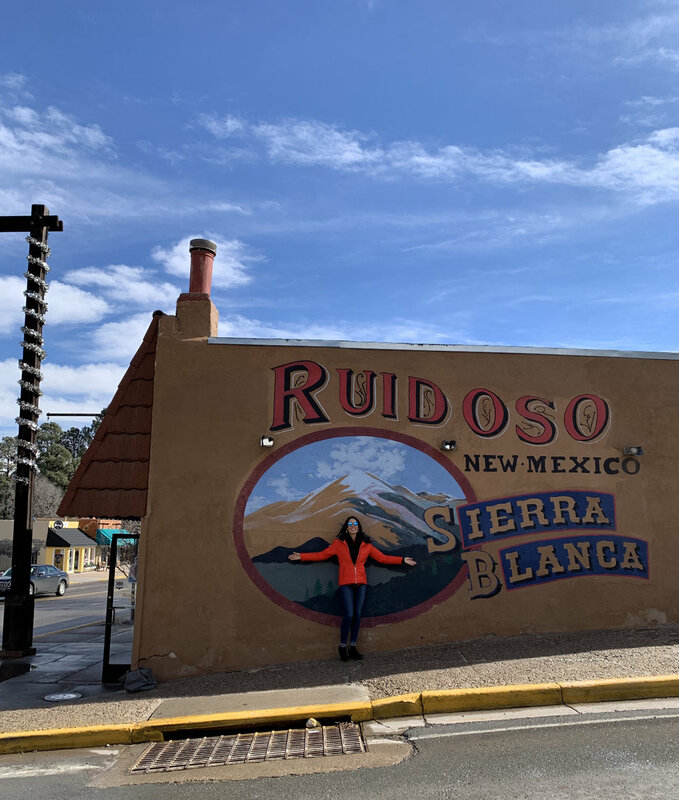 Consistently voted as one of the best places to vacation with mild, sunny weather, Ruidoso has a lot to offer those who love the outdoors: hiking, mountain biking, horseback riding, golfing, skiing, and more. The charming center of town is dotted with many unique boutiques, as well as bars, restaurants, and coffee shops. HIKING, BIKING, HORSEBACK RIDING. Ruidoso has hundreds of miles of trails with beautiful views of crystal clear lakes and the many surrounding mountains. Visit DiscoverRuidoso.com to plan your adventure. SKIING. Ski Apache, owned and operated by the Mescalero Apache Tribe, is just 20 minutes from downtown Ruidoso and has a vertical drop of 1900 feet. The mountain has breathtaking views and offers wintertime skiing and snowboarding, and summertime zip lining, gondola rides, and hiking. Climb into a buggy and have the ride of your life! OFF-ROAD BUGGY TOURS. The Sacramento Mountains in Lincoln County offer some of the best off-roading trails in the Southwest. 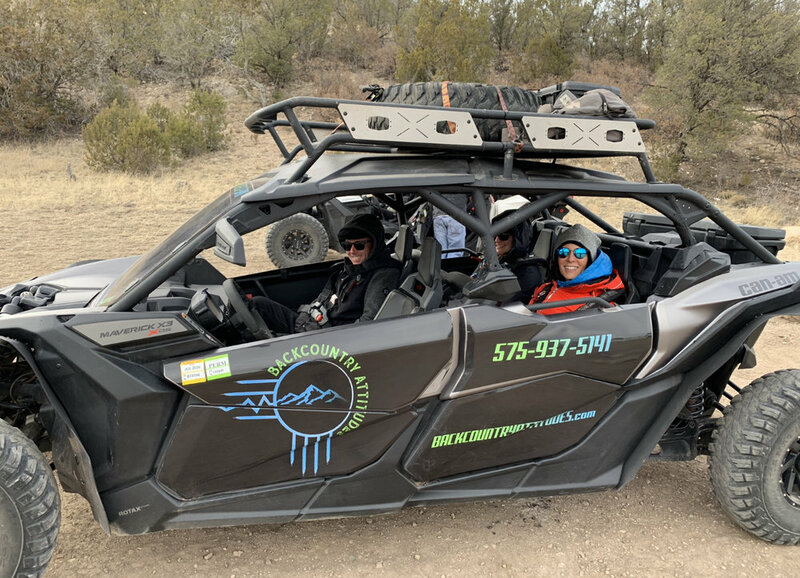 Check out Backcountry Attitudes for their exhilarating 2 or 3-hour buggy tours through gorgeous wilderness and mountain terrain. Beware that after the ride, you’ll be covered in dust and will want a fresh change of clothes. And make sure to bring sunglasses to protect your eyes from sand and wind. RACE TRACK AND CASINO. Ruidoso Downs is a beautiful race track with live racing, a casino, and dining. 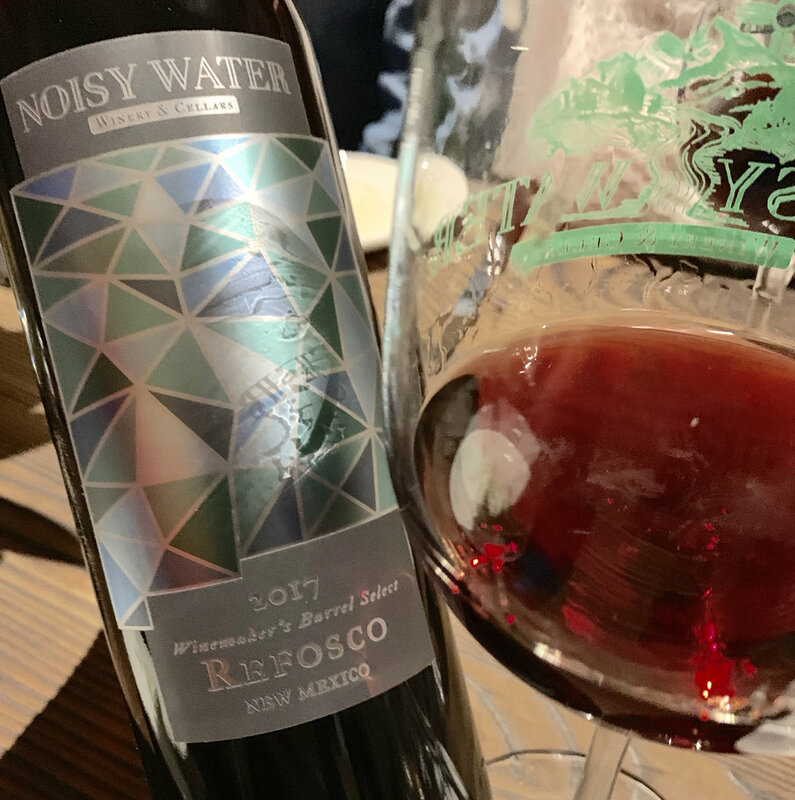 Noisy Water Winery. This award-winning winery produces sweet, dry, and sparkling wines from several grape varieties, so there’s something for everyone and the knowledgeable and friendly staff will guide you in selecting your favorites. The winery’s tasting rooms are located throughout New Mexico (Ruidoso, Cloudcroft, Santa Fe, and soon-to-be in Red River) with the Enchanted Vine location in Alto offering a beautiful barn for weddings and other events. To learn more about Noisy Water, read my interview with owner/winemaker Jasper Riddle on Grape Collective. 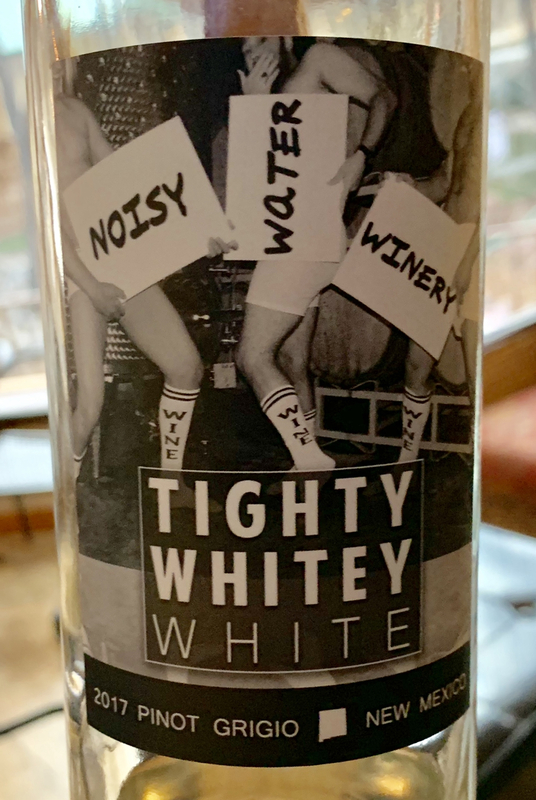 The back labels of Noisy Water Winery let you know how sweet or dry the wine is. Glencoe Distillery. 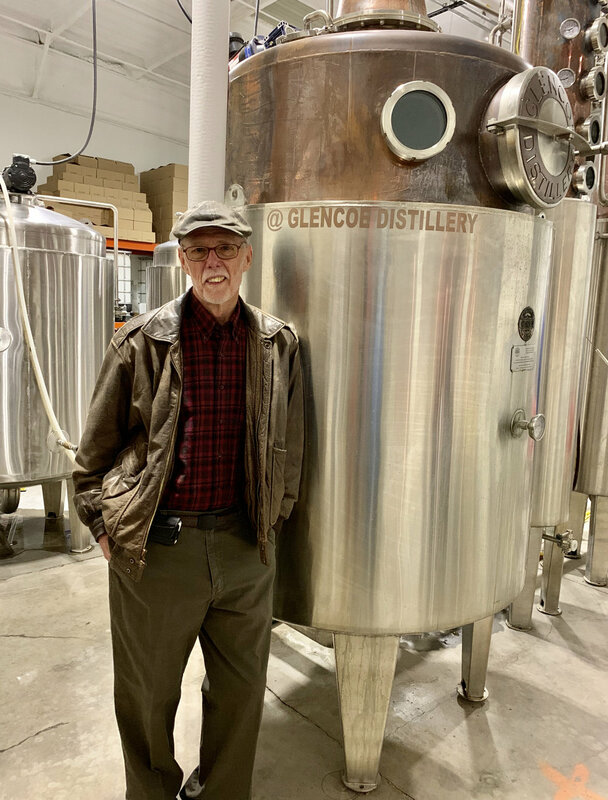 Two couples teamed up in 2015 to create Glencoe Distillery, a high quality craft spirits producer. 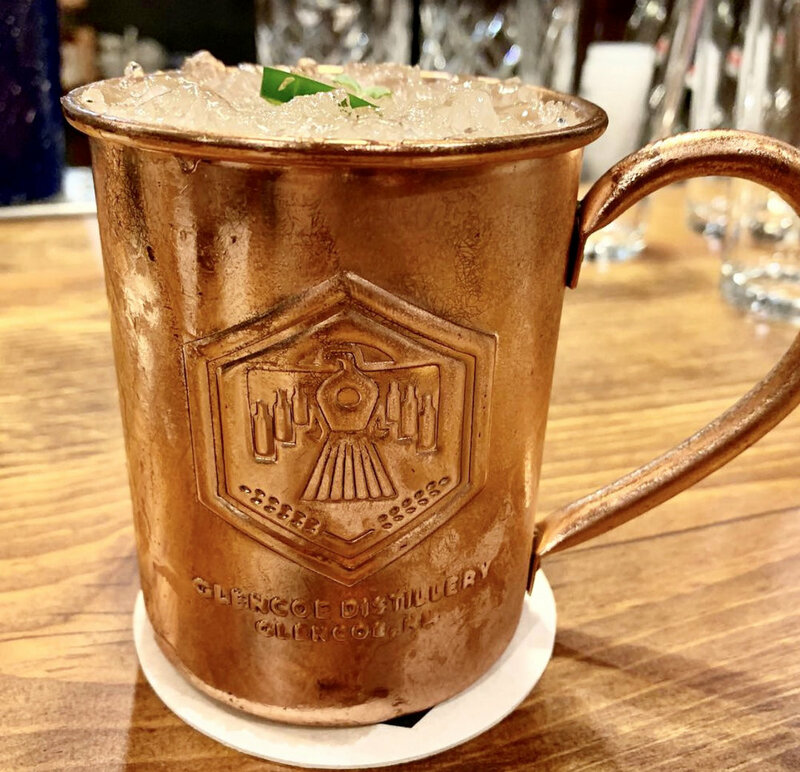 The two tasting rooms (one at 27495 US Highway 70 in Glencoe and the other at the Sacred Grounds Lounge, 2704 Sudderth Drive in Ruidoso) offer a variety of liquor, including rum, vodka, gin, tequila, whiskey, and coffee liqueur. The staff makes killer cocktails and enthusiastically explains how each spirit is produced. The Highway 70 location also offers a wood shop where beautiful, hand-crafted pieces, from cutting boards to furniture, can be purchased. Lost Hiker Brewing Company. Owners Dan and Jen Carey’s production of craft beer started as a hobby and has grown into a family business. 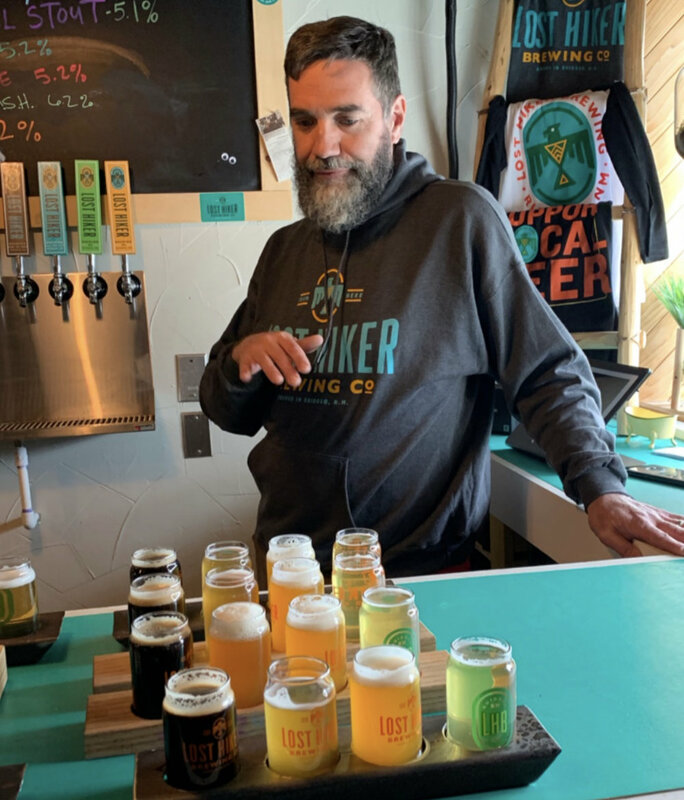 Lost Hiker’s staple beer styles are blonde, belgian rye pale, oatmeal stout, and india pale ale but they brew many other delicious seasonals throughout the year like hefeweizen, dunkelweiss, saison, and others. Open for visitors Wednesdays through Sundays with open mic night on Wednesday evenings and trivia on Sunday afternoons. Bonito Valley Brewing Company. 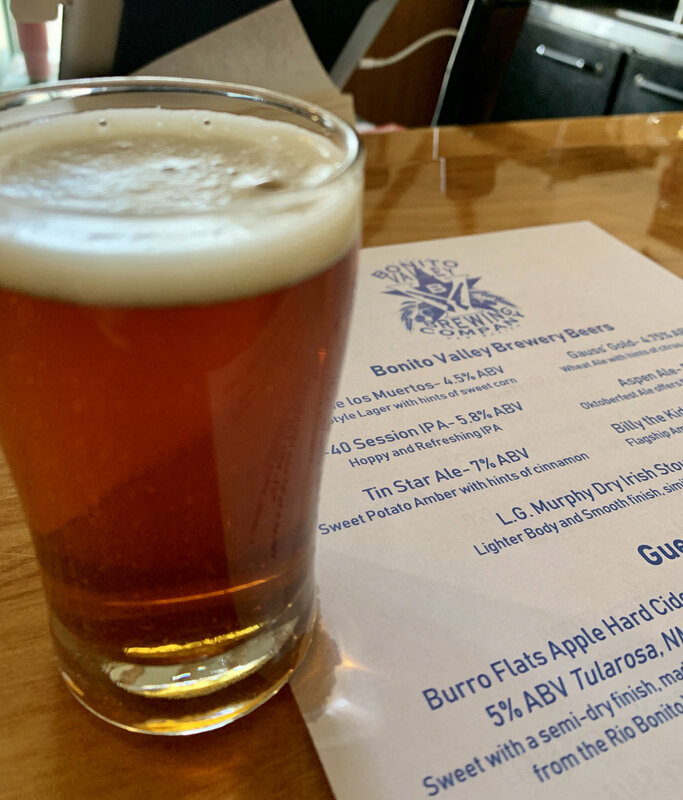 This small, independent microbrewery opened in August 2018 and is located in the historic frontier town of Lincoln where Billy the Kid made his brazen escape from the county’s courthouse, making him the most wanted man in the wild west. Housed in a cozy, pet-friendly 1800s building, this wonderful little brewery is loaded with history and excellent beer. Every Saturday throughout the spring and summer they have live music. Tour the nearby Lincoln Historic Site to see the 19th-century adobe and stone buildings, including a store, church, and museum. J. Roberts. This boutique has trendy and reasonably-priced apparel, jewelry, and footwear. Old Barrel Tea Company. This great little shop has an amazing assortment of loose teas blends, as well as candles and other knick knacks. You can also order online and have the delicious teas sent to you. The Spa At The Inn of the Mountain Gods. A tranquil and luxurious spa whose decor was inspired by the culture of the Mescalero tribe — warm lighting, organic materials and tribal motifs. Services range from facials, body treatments, and massage therapy to nail care, waxing services, hair color and styling. Sanctuary on the River. This small, cozy spa with its intimate indoor spaces and beautiful outdoor setting is conveniently located right off the main street in the town of Ruidoso. In addition to holistic spa services and a hair salon, Sanctuary offers cooking classes, life coaching, and hypnotherapy. They also host weddings, retreats, and meetings. Hunt & Harvest At The Mercantile. Flavorful dishes focused on organic and healthy food, fresh breads, pastries and local wine. Be sure to try the Ghost Chile Mac and Cheese. Rio Grande Grill & Tap Room. Opened in 2013 by Sierra Blanca Brewery owners Rich and Suzanne Weber, this casual restaurant offers consistently delicious food — steaks, burgers, seafood, and pasta. All of their excellent craft beers are on tap, as well as an extensive wine list. Texas Club. The building used to be the private residence of a Texas oil billionaire. He would charge his friends a $1 membership to have access to his home in the mountains that he called the Texas Club. Solid food with the best steaks and Texas-style fare in town. Cafe Rio. Voted best pizza in the state, this is a total “mountain dive” that serves true east coast style pies. Cornerstone Bakery. Don’t miss this local favorite cafe that prepares the finest breakfasts, lunches and baked goods. You can take out freshly baked breads, croissants, muffins, and more. Or, dine there and enjoy breakfast and lunch items served all day. Don’t be put off by the long waits to be seated. The staff is super friendly and they will text you when your table is ready. Check out the local shops within walking distance while you wait for one of the best meals in Ruidoso! Sacred Grounds Coffee & Tea House. A cabin–like coffee shop with a large outdoor patio offering hearty breakfast items as well as light fare and weekly live music. There is a gift shop and a Glencoe Distillery tasting room on the premises. Escape Resort. This upscale property is conveniently located in town, just off the main road hidden among tall pine trees. The resort consists of six luxurious and modern one and two bedroom casitas, all with high ceilings, full kitchens, comfortable beds and jacuzzi tubs in the bathrooms. Ruidoso River Resort. Located just 2 blocks from town, the hotel has a serene setting alongside the river. Upper Canyon Lodging Company. The properties include four unique lodging options: Whispering Pines Cabins, Shadow Mountain Lodge, Canyon Cabins, and Upper Canyon Inn. 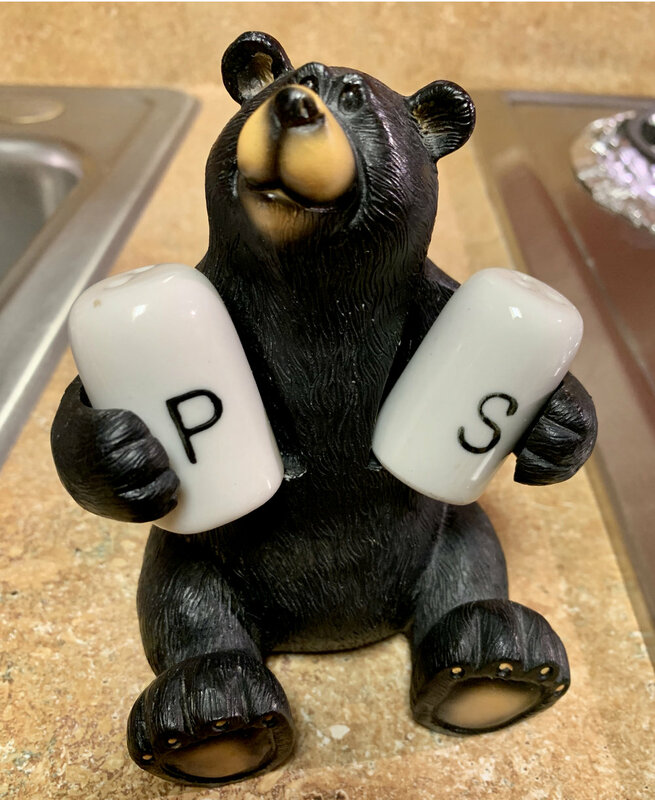 Shadow Mountain, conveniently located in the Historic "Upper Canyon" of Ruidoso and only a short stroll to town, have rooms and cozy log cabins with small kitchenettes — clean and comfortable, decorated with many bear figurines (below). One of several small lakes in Ruidoso where summertime kayaking and picnicing is allowed. Houses in the town area of Ruidoso.